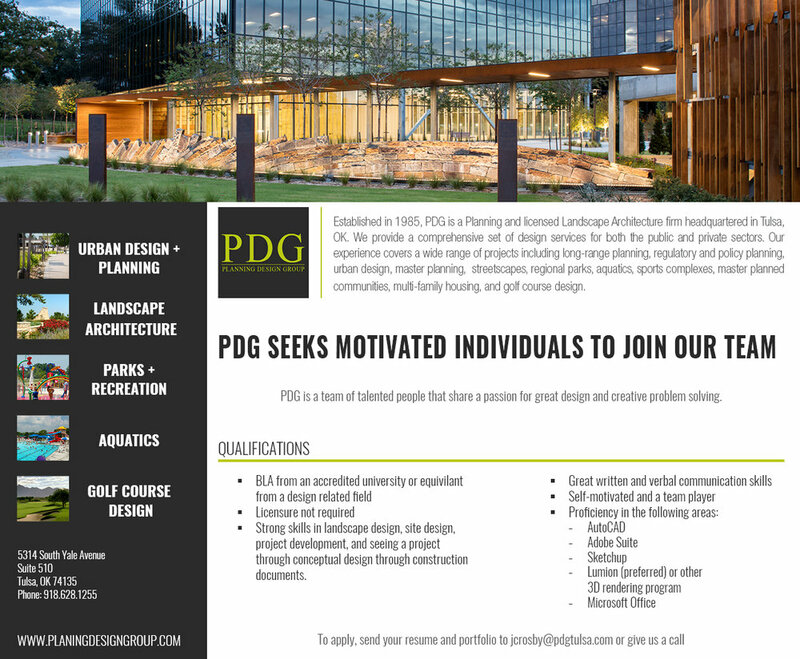 PDG seeks motivated individual to join their team! See job posting below. If interest, please send your resume and portfolio to jcrosby@pdgtulsa.com or give PDG a call at (918) 628-1255. 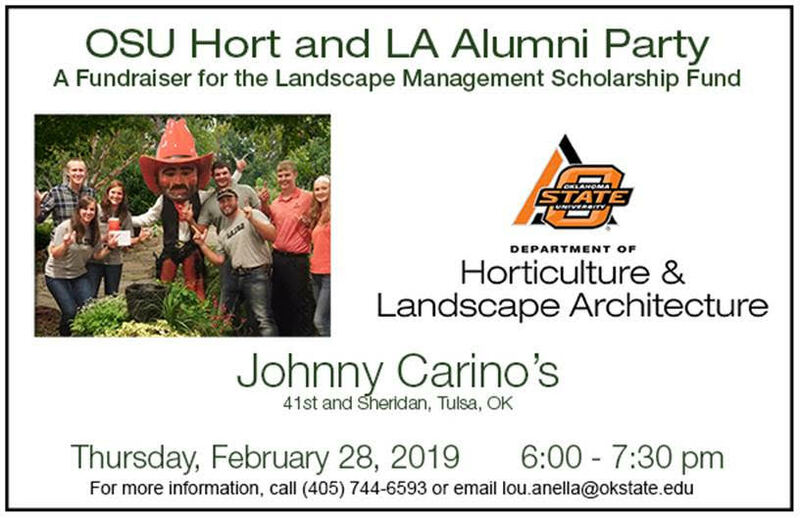 Come join us for a fun social event the evening before the OKASLA Annual meeting sponsored by Landscape Forms. Drinks and hors d'oeuvres provided. Mary Eddy's is located at the 21c Museum Hotel. Your Oklahoma ASLA chapter is seeking nominations for those who will lead our chapter during this upcoming year. This will be the perfect time for new members and seasoned members alike to come together and promote our profession as a single unit! We have a need for people at all levels of experience! Many of you have served countless hours throughout your careers and, as a current executive committee, we thank you. If you are able to serve again, please consider it, we would love to have you. If you are new to the chapter this is a great way to get involved. Whatever your current situation, your time serving will not be spent in vain. We think you'll be impressed by the vision that is held for landscape architecture in Oklahoma and the efforts that are already underway. Your Oklahoma chapter would like to thank you for your participation in the election process and will continue to serve the landscape architecture community. Nominations are open from August 6th to August 17th and elections will be held from August 20th to August 24th. Please note, you must have the nominee's permission to nominate them. Additionally, no vote will occur if there is only one nominee. The ASLA 2018 Call for Entries is out now and will be open until August 31st. Follow the link below for details and application forms. If you have any questions or comments please e-mail kayla.copeland@guernsey.us. Thanks and we look forward to receiving your submittals!